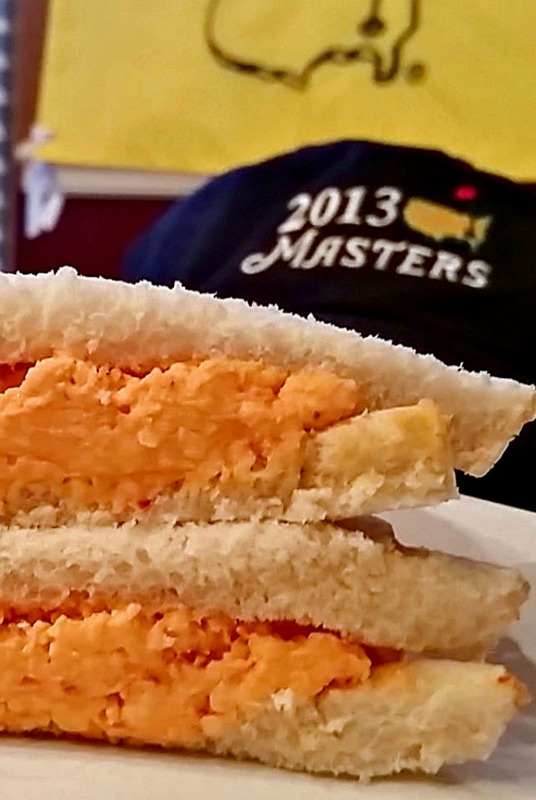 In honor of The Masters, here is my version of a simple Southern Pimento Cheese Sandwich. 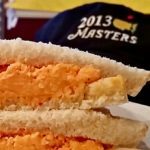 Augusta Nationals recipe is a tightly held secret, but this is what I believe is in that wonderful little $1.50 sandwich. I was going to attempt to fancy it up but that would go against what The Masters experience is all about. This week is one of my favorite weeks of the year. Masters Week!! Professional golf has four majors each year. The Masters, US Open, The Open (British) and the PGA Championship. 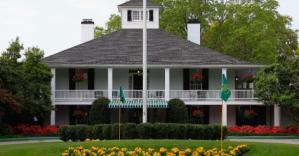 The Masters is the only event played at the same venue every April. I love watching the Masters because of the beauty and history of the course. I was lucky enough to attend Thursday and Friday rounds in 2013. This was a once in a lifetime, bucket list event. Thank you, T. McCloy. Since Augusta National holds The Masters every year all the facilities are permanent, unlike other major where concession, restrooms, and grandstands are temporary structures. This is also Augusta National’s tournament! Not the PGA’s or the USGA, it is a private event so therefore they control everything. 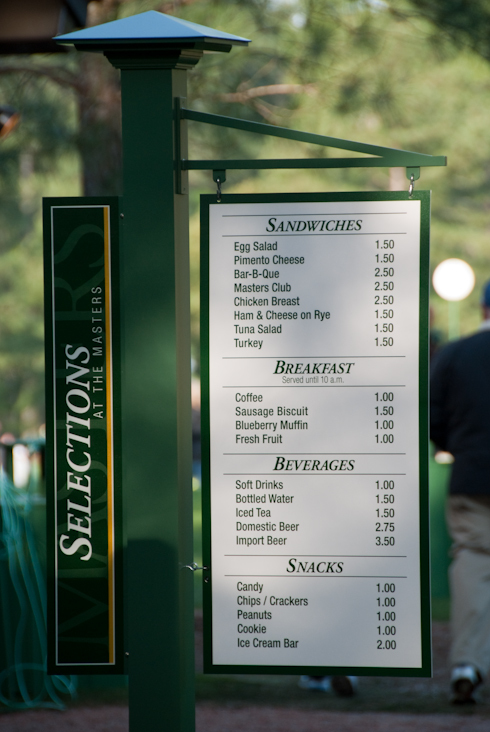 The food at The Masters is legendary. Not because it is fancy, but on the other hand, it is simply good and inexpensive. This is not the norm for a major sporting event where a beer will set you back $10.00 and a hot dog $6.00. Furthermore, when you attend The Masters you are on the grounds from early morning until late in the evening. You are a captive audience and would be willing to spend much more than Augusta charges for the food. 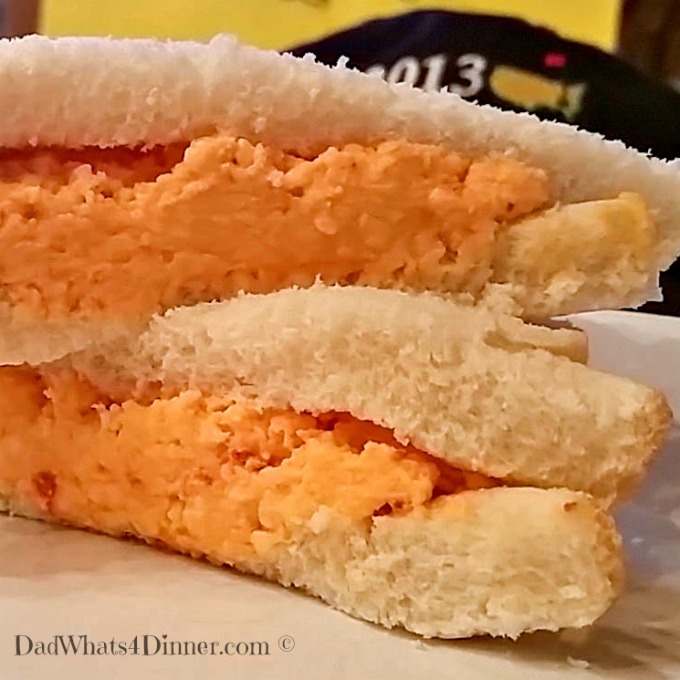 One of the legendary concessions is the pimento cheese sandwich. It is simply pimento cheese spread on white bread in a green sandwich bag for the exorbitant price of $1.50. Check out the rest of the prices. When I attended I was amazed how well the tournament was run, not only for the players but also for the patrons. At The Masters you are not fans or guests, you are patrons and you are treated to an exceptional experience. The grounds are immaculate and TV coverage does not do justice to the beauty of Augusta National. If you ever have the chance, do not pass it up. I know it was a dream of mine come true. 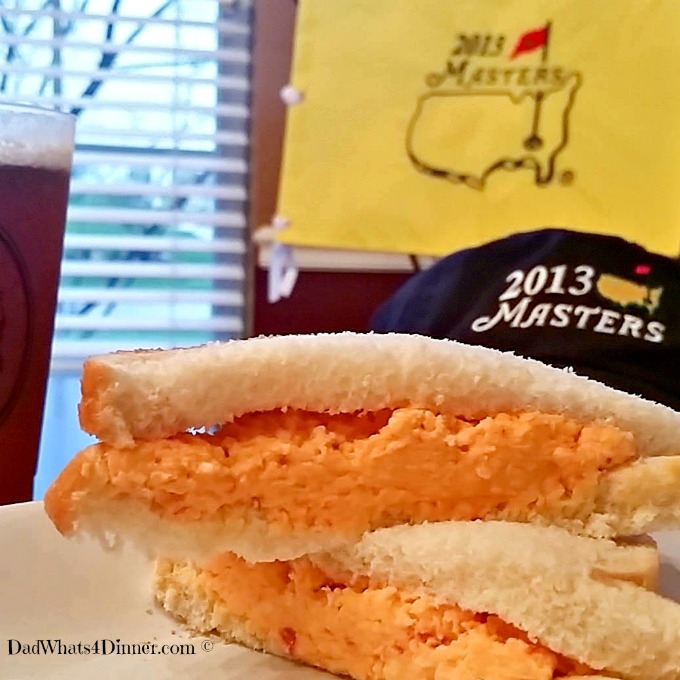 I hope you enjoy my Southern Pimento Cheese Sandwich while watching The Masters! 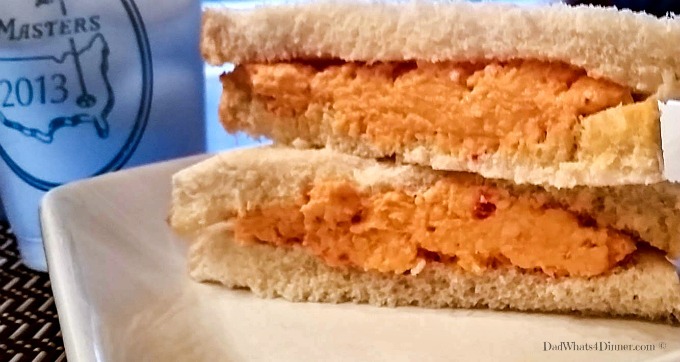 Southern Pimento Cheese Sandwich is a simple masterpiece of flavors. Perfect sandwich to eat while watching The Masters golf tournament. Spread on bread or crackers and enjoy. Great idea for a post! I was able to go on Saturday last year. What an experience, and of course I had a pimento cheese sandwich. Our friend bought 10 to put in his wife’s bag to take home! I should have thought of that but I didn’t have my man purse. :)) Listening to Live at The Masters on the Golf Channel as I work this morning. What a simple and yet delicious looking sandwich! This must be the only sport tournament where food is so economical! Anywhere else it is astronomically priced! I’ve seen pimento a lot lately and yours is one i will have to try to make! Golf is a favorite sport in my family and especially the Master’s. My uncle was a member and one year my dad and hubby attended the event. It was the highlight of their lives! I have my MIL’s recipe and is different from yours – but that’s the nature of this southern sandwich! I have an old 1977 Tea-Time at the Master’s cookbook which contains a lot of good recipes (still) 🙂 No pimento cheese sandwich though!!! Wow Judy the cookbook sounds awesome. I would love to find a copy. It should be a fun day. See my post French Onion Soup which I adapted from the cookbook. 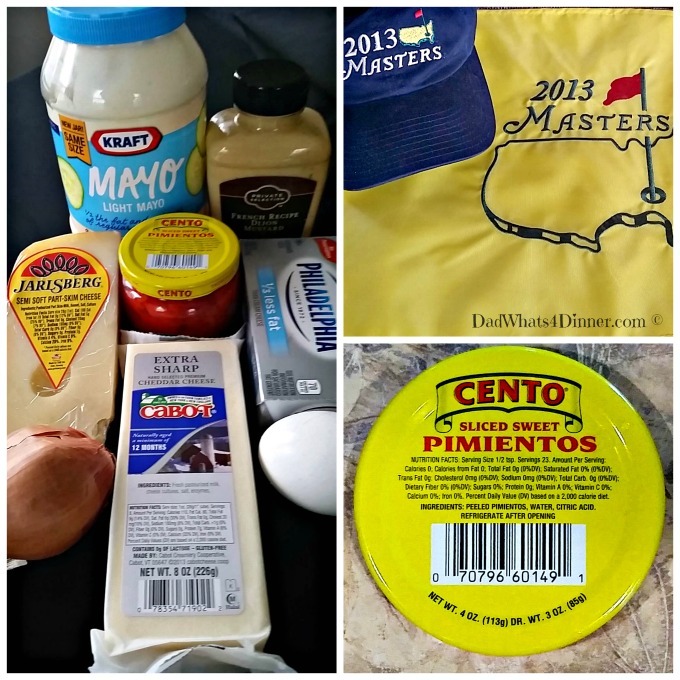 I also wrote about my hubby’s trip to the Master’s. When I saw your post at Snickerdoodle Sunday, I was intrigued. Southern Pimento Cheese is a thing of beauty when made right! It looks like you’ve done just that. 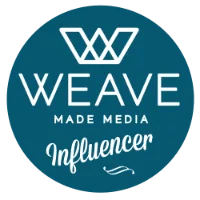 I love your post with details about The Masters. I grew up near and then lived in Augusta for years. I have tons of fond memories. I was fortunate enough to get to attend a number of practice rounds and a couple of tournaments years ago. I couldn’t agree with you more about the experience! We did catch a little of the Masters. Thanks for sharing your recipe with us at Merry Monday.